Moving Furniture in Camberwell might not only seem to be a big challenge for a layman but it certainly is a tasking task, especially when moving across any city of Camberwell or even worse when the furniture needs to be removed interstate. It’s best to hire a professional furniture removalists Camberwell Company that has hands on experience in planning the entire furniture removal and relocation process. We have a dedicated team who have been given specialized training on packing and re-organizing your removed furniture back to your desired location. We understand you have memories and are emotionally attached to every furniture you buy or have from your ancestral home. This furniture certainly cannot be handled by amateurs, and dedicated specialist furniture removalist Camberwell is best to be hired to do justice to your requirement. 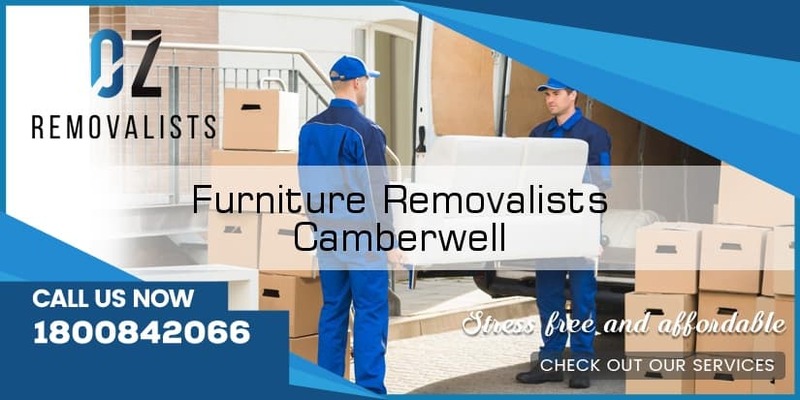 Furniture removalists Camberwell initiate the process by strategically planning in advance exploring the quantum and type of furniture that has to be moved. This helps us identify and analyze the packaging material needed to safeguard your furniture. 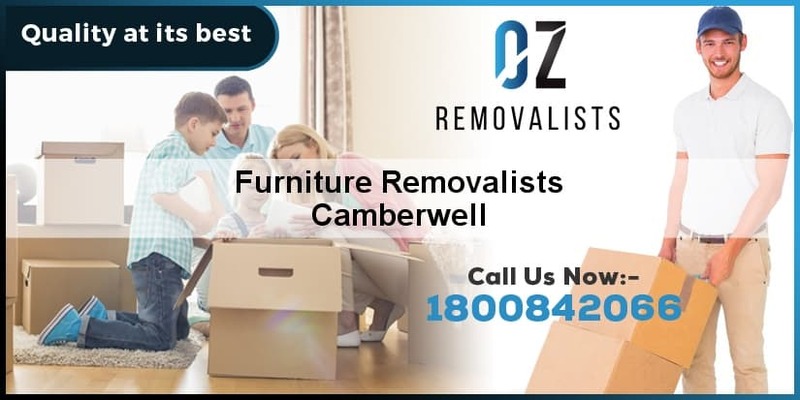 OZ furniture movers Camberwell list up in detail all the furniture items that need to be removed including other removal items. You are on the right page if you too are looking for a furniture removal Camberwell for we are experts in the industry and have been serving clients for furniture removal Camberwell to suburbs or any part of the country. Even if just 4 chairs or a computer table have to be shifted to your home location or office in any part of Camberwell, we are a specialized furniture removal company and can do the needed removal and relocation with optimum ease. We pack all your furniture with proper bubble wrap packing, thermocol partitions and wooden crating and corner packing to safeguard it from any damages whatsoever. We have a completely responsible team who have the needed expertise and efficiency of packing, loading and delivering the goods on the desired stipulated time frame for all our clients willing to hire furniture removals Camberwell . You can count on us for all kinds of furniture removals Camberwell . We can do it all- remove furniture, shift load, unload and assemble to your choicest of location. We are there to assist you for all your removals requirements to suburbs or vice-versa. Cheap furniture removals Camberwell follow a strategic well- planned process. You can be sure to enjoy the benefits of hiring a professional furniture removal company that can make your furniture removal Camberwell stress free. We can proudly boast of being able to provide you a seamless stress free Furniture removal Camberwell across Australia as well as worldwide. We have a wide network of service locations across Australia to serve our clients with expertise and provide them a relaxed stress free furniture removal Camberwell experience. Something that every customer will appreciate and will for sure recommends many to experience the same. 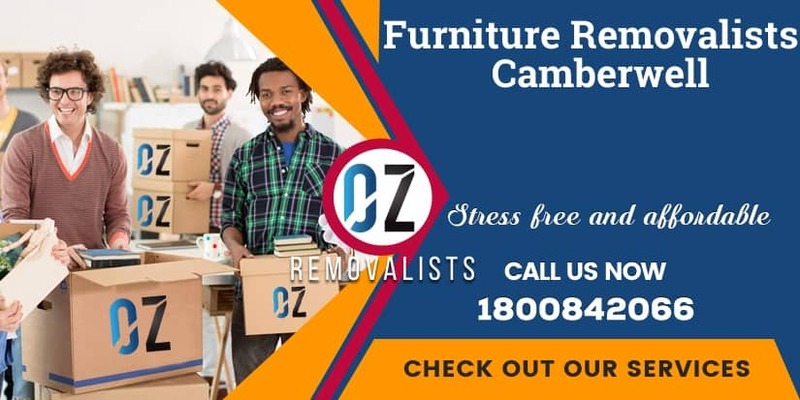 Your furniture will be removed with care: Oz furniture removalists Camberwell seek to grow on having cumulative happy customers and when we care it reflects in our actions and delivery. Exceptional in customer care service: We are pioneers in providing superior relocation services for local, interstate and international moves. Call furniture removals Camberwell now! Discounts and clubbed offers available: Our cheap furniture removalists Camberwell offers affordable moving solutions. Any time that you are contemplating moving out entire furniture or certain logistics we are certainly the best choice. You can connect with our customer care executive to know more about the offers and deals. So what are you waiting for? 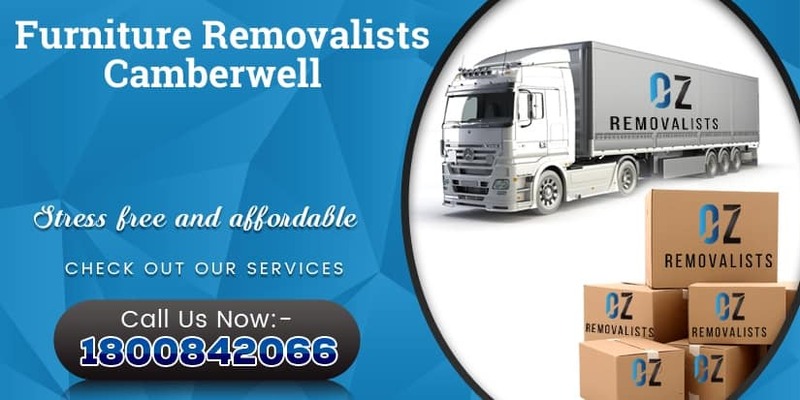 Get going to call us for all your furniture removalists Camberwell needs and be best satisfied of hiring the experts who handle your complete furniture removal Camberwell process with optimum ease and precision. After assessing the type of furniture to be packed and removed a free quote is provided by Oz cheap furniture movers Camberwell for your approval. furniture removalists Camberwell purchasing team ensures not to skimp out on the quality of packing material used and stick by and abide by our core value of delivering the premium best.